"When I first heard of Autism Assistance Dogs Ireland, I has no idea that these amazing creatures were used for anything other than helping people with sight difficulties. Having first hand experience of my sons ASD, I understand completely the fears that children and young people with autism can go through. Anyone with experience of autism will tell you that the simplest noise or sudden change can dramatically affect the child. These autism assistance dogs, when trained to to such a high standard, as is evident with AADI's recent accreditation with Assistance Dogs International, have such a life changing impact on the child with autism and their future. And the future of all of the family. It is truly incredible! I talked with Aidan who received Gandi from AADI, and when I spoke with him, I felt that Aidan had been given a new life, independence, and this is all down to the charity's training of his Autism Assistance Dog. I got behind Autism Assistance Dogs Ireland as I have seen first hand what they are doing to reach these children with autism and their families, how they are a lifeline to these families, how they want to reach more children struggling with the invisible symptoms of autism. Exploring alternative methods is something that all carers of children with autism want to look at. Autism Assistance Dogs Ireland are a support that I truly believe is one of the roads that families should consider as a way to help the growth of their child with autism. Spearline is delighted to announce a three year partnership with Autism Assistance Dogs Ireland (AADI). Spearline’s software solution Spearline Data Protection will be used by Autism Assistance Dogs Ireland to manage and demonstrate their entire General Data Protection Regulation (GDPR) compliance programme. 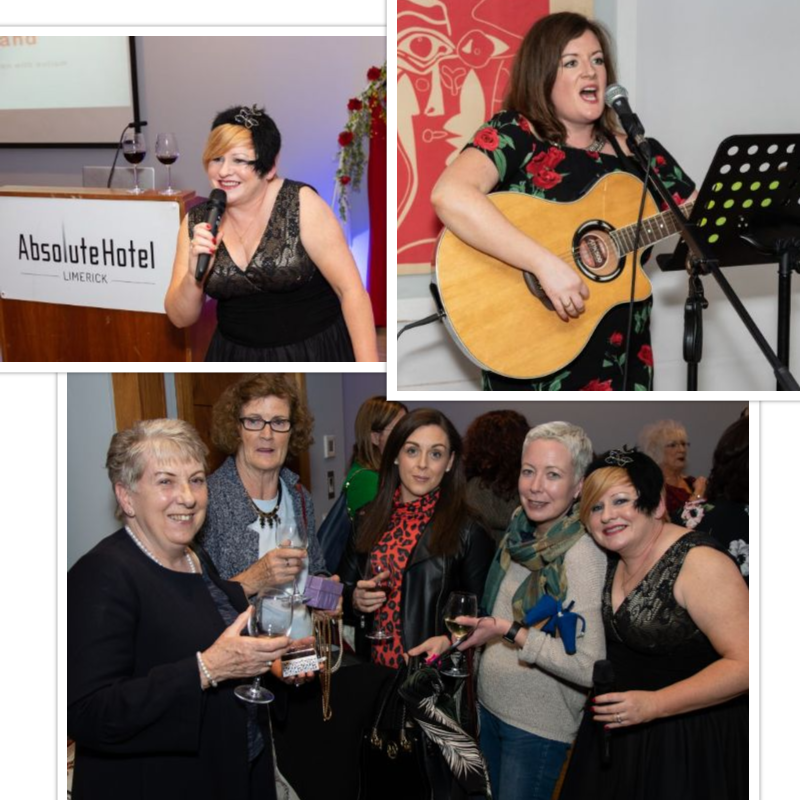 Ciara Lucy, Managing Director of Spearline met with Nuala Geraghty, CEO of AADI and Cherie Tyner, Communications, PR and Corporate Partnerships Manager for AADI to officially launch the partnership in Cork this week. AADI was set up in 2010 as a response to the number of children with autism in Ireland who urgently need the support of an assistance dog. AADI’s primary focus is to train and place Autism Assistance Dogs with children with autism who are struggling to cope with the distressing elements of this invisible disability, such as chronic anxiety, sensory overload, self harming and bolting in to the road as the child may be unable to process danger. AADI have the first and only Autism Assistance Dog Programme in Ireland to achieve the exceptional Assistance Dogs International accreditation. The charity provide their life changing service completely free of charge to families and are reliant on the kindness of individuals and corporations to change the world for children with autism across Ireland. Spearline won SME Cork Company of the Year 2018 at the Cork Company of the Year Awards run by Cork Chamber. Since then Spearline have grown staff numbers and product offerings as well as acquiring a landmark building in Skibbereen to house the increasing team. Autism Assistance Dogs Ireland is proud to affiliate with Spearline who are a wholly Irish owned company with a global footprint working with some of the world’s largest brands. My name is Deborah Walsh, I'm from Lucan in Co. Dublin and I've taken 40 days out from my daily life to walk the 800 km Camino French way to raise urgently needed funds for the children on Autism Assistance Dogs Ireland waiting list. I chose to raise money for AADI because of my dear friends daughter, a special little girl who has autism and who is on AADIs waiting list. I understand the huge difference AADI Autism Assistance Dogs make to children with Autism and so by doing this 800 kilometer trek I want to raise as much money as possible to help the charity to reach more children who desperately need the support of one of their autism assistance dogs. This trek will be a lifeline to families who are currently struggling to cope. Exciting news for those who want a REAL CHALLENGE. . . . . . .
Autism Assistance Dogs Ireland, in partnership with Ballyhass Lakes, Mallow, Co. Cork are hosting the incredible ‘Adventure Challenge for Autism’ on 29th September, with hundreds of challenge hungry competitors expected to take part. Step out of your comfort zone and take on an adventure like no other, tackling 5 challenges over 3 hours. Participants can expect to get masked with mud and soaked to the skin as they navigate through the ability testing assault course, fly the 150 meter zip-line across quarry lakes, take on the Gladiator Challenge, abseil and much much more. Suitable for thrill seekers big and small, participants can enter as a team, a family or individually. Competition will be neck and neck as competitors are scored on each challenge that they successfully complete. For those guys and gals who don’t like to lose, there will be prizes galore in all categories. So set yourself a real challenge with the ‘Adventure Challenge for Autism’ and sign up here today. This is one serious adventure!!!!!! Autism Assistance Dogs Ireland (AADI) are this month celebrating their accreditation with Assistance Dogs International for their exceptional standards and training of their Autism Assistance Dogs for children with autism across Ireland. This award will place AADI as the first and only Autism Assistance Dog Programme in Ireland to be accredited to these international standards and comes at a time when statistics highlight that 1 in every 65 children in Ireland have a diagnosis of this invisible disability. Not all organisations that undergo this rigorous assessment process are granted accreditation. Status as an accredited charity means that AADI has met the internationally recognised standards for excellence in provision of task specific dog training, welfare and education and is an achievement that the team at the charity want all of their donors, corporate partners and volunteers to be proud of too. Speaking of the success, CEO, Nuala Geraghty explains, “We believe that the children with autism and families that we work to support and provide our services to deserve the very best. We train our assistance dogs over a two year period to mitigate the difficulties that the child is experiencing because of autism, such as chronic anxiety, lack of danger awareness and inability to go to public places because of sensory overload. Our autism assistance dogs give back life to the child and their family, helping children with autism to reach their potential and return to being part of their communities, where they belong. Autism Assistance Dogs Ireland invests two years and over 9,100 hours of training in each dog to get our dogs to the stage where they will be the lifeline for a child and family affected by autism. Our success as the first and only Autism Assistance Dog Programme in Ireland to be accredited with ADI helps to affirm the fact that the services that we provide are of exceptional standard and have an impact on children across Ireland that is lasting a lifetime. Without doubt, going through the accreditation process was an intense time, but it propelled us to take stock and acknowledge how determined we are to get more autism assistance dogs to children with autism who urgently need them. The standards to which Autism Assistance Dogs Ireland train their dogs can be clearly seen in the success stories that they have with families such as the O’ Briens from County Wicklow. AADI placed Zara with Mia this year. Lisa O’Brien, Mia’s mum, states “We can see the support that Zara brings Mia already, how Zara looks out for and minds Mia. Zara gives independence to us as a family. Before we received Zara from Autism Assistance Dogs Ireland, you would get all sorts of looks and whispering, where people would gather their thoughts and come up with their own diagnosis of Mia. Mia’s brothers and sister would sense this straight away and lip read every conversation around them. It was very upsetting for them. Now that people can see Mia attached with Zara, there is instant acceptance of my daughter. Mia has no awareness of the risk that strangers pose and in the past she would hug strangers. As parents this was very worrying. Mia is very trusting, but this means that she is vulnerable. Now, with Zara, Mia is more focused and by being attached with her assistance dog, she is safe and doesn’t go up to strangers. Zara gives us a new hope”. It takes 2 years and costs €22,000 to train AADI Dogs to Assistance Dogs International Standards. The charity receives no government funding and is reliant on the support of individuals and companies across Ireland. Most importantly, all of the charity's assistance dogs are provided to families completely free of charge and are only placed with the family when the dog is fully qualified to make a life lasting impact. Petworld and Horkans make a lasting impact!!!! Thank you sincerely to all of the staff and customers of Petworld and Horkans Garden Centres who have made such a massive effort in raising critical funds to make life better for children with autism. You are now the proud sponsors of Poppy the autism assistance puppy. Poppy, through your sponsorship, is going to transform the life of a child with autism and their family beyond recognition.